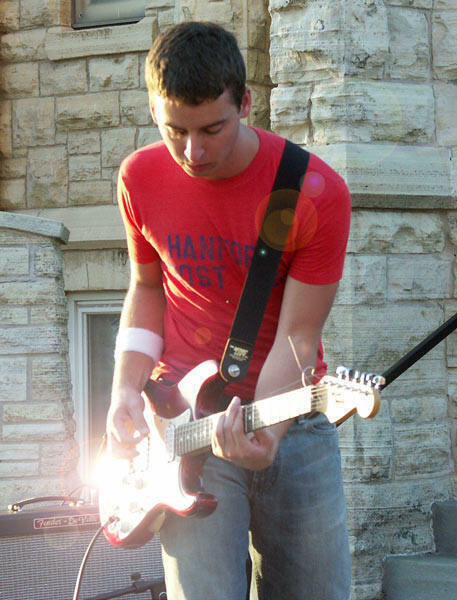 Born and raised in Cedar Rapids, attended Linn-Mar High School, and started playing guitar when he was 16 years old. He comes from a musical family and was intruduced to music at a very young age by learning how to play the piano. Throughout high school he played trumpet in band and jazz band. Later, after learning how to play the guitar, he and two of his brothers started a local pop-rock band "Ramshackle" which was together for about 7 years. After graduating from UNI in 2005 and entering the working world, he's played for church, Brad Stiles, and Unsung Heroes.